The night is dark and full of terrors, so one must find one’s giggles where one can. 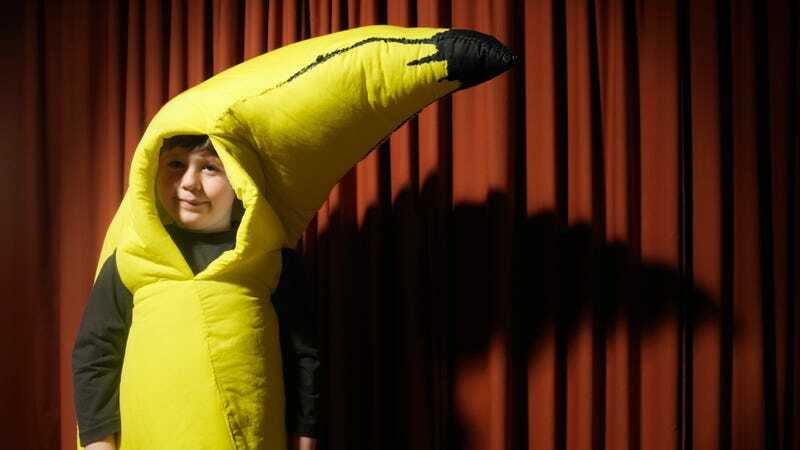 This morning, I found my giggles in this story from The New York Times, which happens to be about Judge Noel L. Hillman finding his giggles in a case about banana costumes, written by someone (James Barron) who also seems to have found some giggles. I hope it makes you giggle, I guess? Then came something unexpected—a dispute about bananas, or more precisely, a lawsuit about costumes that look like bananas and the two companies that make them. One company maintained that the other was manufacturing look-alikes that had been copied from them. The whole thing is worth a read, but I’d like to draw your attention to the grand finale, in which Judge Hillman ruled for one banana-costume-maker on two issues, and for the other banana-costume-maker on another issue. His opinion was divided, so it was split. We repeat: His banana decision was split. It is hard to resist the temptation to call the judge’s 35-page opinion, issued on May 29, a split decision… He issued a preliminary injunction barring Kangaroo Manufacturing from selling its banana costumes, declaring that Rasta Imposta had “a reasonable likelihood of success” on copyright infringement claims. In explaining his decision, the judge cited fabric shininess, “the bright shade of a golden yellow and uniform color that appears distinct from the more muted and inconsistent tones of a natural banana,” and such weighty matters as armhole placement. Judge Hillman would do great things at The Takeout, should he ever wish to get into a new line of work. Last call: Why are some foods associated with insanity?